It’s mid-morning on a Saturday in November, and the temperature is in the twenties. We are in a meeting room on the ground floor of an apartment building on Cottage Grove Avenue in Woodlawn. On a weekday, the shouts of workers, grind of saws, and bangs of hammers would reach us from down the block, where a boxy new building is rising at the corner of 61st Street. But it is quiet and, despite the cold outside, people have come. A soft-spoken man spreads his fingers pensively across his chin. This is Bernard Williams, a local artist invited to the meeting by the developer of the boxy building. By the time Chicago’s soil thaws, it will be a Jewel-Osco, and a sculpture by Williams will stand at the entrance to welcome shoppers. The grocery store accompanies the new, pleasantly nondescript buildings of Woodlawn Park, a mixed-income development that runs along Cottage Grove from 61st Street to 63rd Street, all within several blocks of the University of Chicago. The buildings were built by Preservation of Affordable Housing (POAH), a national nonprofit developer, to replace the troubled Grove Parc Plaza affordable housing complex. It is in one of these new buildings that this morning’s meeting is taking place. Among the Woodlawn residents in the room are a University of Chicago student, a POAH tenant, and several older residents who remember running into Louis Armstrong outside theaters along Cottage Grove. “What kind of future do you see developing out of what’s happening now?” Williams asks the neighbors. “The University of Chicago will have a greater impact on this neighborhood,” an older man says. He thinks that community organizing stopped the UofC for a couple decades, but that things will change. Leon Walker, whose DL3 Realty developed Englewood Square and is now building the Jewel, describes two possible futures: one of gentrification, which he says requires a “displacement strategy,” and one of revitalization, which requires what he calls an “engagement strategy.” His company, he assures, is a revitalizer. “Which are you betting on?” The older man asks. Since the 1960s, the few blocks where POAH’s development now stands have been the site of successive housing projects designed to revitalize Woodlawn. The first two, built and managed by powerful community organizations, folded under financial pressure and lack of maintenance and were taken over by the federal government. 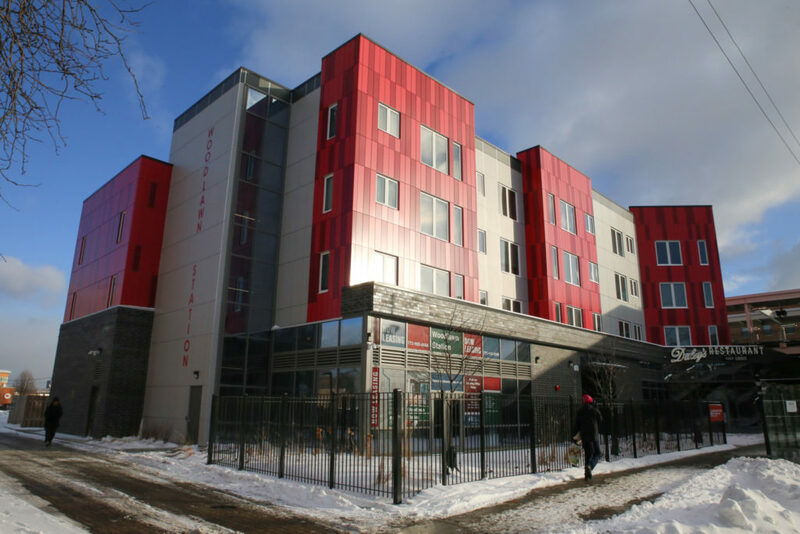 In 2015, tenants of Grove Parc Plaza signed an agreement with POAH that guaranteed them an unprecedented say-so in the redevelopment of that affordable housing complex into Woodlawn Park, where Williams, Walker, and the neighbors would meet. But even though it was a group of tenants that invited the developer into the community, the community has not always welcomed the developer. First, homeowners spoke out against POAH resettling lower income residents on their streets. Now, since POAH has invested tens of millions of dollars in Woodlawn by building new units of affordable housing on Cottage Grove, preserving affordable units elsewhere in the neighborhood, and developing thousands of square feet of retail space, some tenants share the older man’s skepticism. Will these community-wide changes, they wonder, ultimately strengthen or erode the place that lower-income residents have in the neighborhood? What kind of revitalization will these changes lead to? Several local churchmen invited the Industrial Areas Foundation, led by renowned organizer Saul Alinsky, to help Woodlawn residents fight back. Alinsky’s deputies held meetings across Woodlawn and sometimes at Alinsky’s downtown office, where local leaders struggling with conflicting commitments would be summoned to meet the great organizer. One of those local talents was Leon Finney, Jr., a recent Marine Corps veteran and son of a prominent Woodlawn businessman, who first encountered Alinsky smoking a Parliament cigarette behind his downtown desk. The Jewish criminologist-turned-organizer nearly brought Finney to tears with a choice: be “serious about Black people” or ride through life adrift. In 1961, these local leaders established the Temporary Woodlawn Organization, which in 1962 became The Woodlawn Organization (TWO). TWO linked the fight against pressing, everyday concerns—credit traps, poor schools, faulty shop scales designed to overcharge customers—to the broader tenets of a growing civil rights movement. A month after TWO’s organizing convention in 1962, the Chicago Daily Defender wrote that “Chicago has been in need of a militant group for a long time. Since political leadership in our midst is only concerned with preserving its own identity and control…someone has to step into the void….The Woodlawn Organization may become the most effective spokesman for our people.” A promo for a 1962 report on TWO in a local newspaper featured a picture of one of its leaders and the word POWER—four years before Stokely Carmichael’s own “Black Power” speech, which brought the phrase to national attention. But while these actions appeared “militant” to the Defender, they were based on a pragmatic, local logic. After the 63rd Street march, TWO was careful not to push the issue further, for fear that it would pit the poor against the merchants and undermine support from business owners and their local Businessman’s Association. The voter registration action was a tactic from the Democratic machine’s own playbook; precinct captains, their bosses, and their bosses’ boss, the mayor, provided favors and services to citizens in exchange for votes, which they tracked and tallied to ensure victory. Thousands of newcomers not yet beholden to the system captured the attention of Mayor Richard J. Daley who, characteristically beet red, strode through the doors of the Southmoor Hotel’s grand ballroom on March 23, 1962 and received a standing ovation from the 1,200 people gathered there for TWO’s organizing convention. Many in the audience had likely been among the crowd that registered to vote at City Hall. More than its apparent radicalism, TWO’s defining characteristic was its capacity to organize people. The early organizers identified “unknown leaders” like Leon Finney, Jr. and Reverend Arthur Brazier who, rising to lead an organization that fashioned itself the spokesman for some 120,000 residents in Woodlawn and neighborhoods to the south and west, were able to make demands of the traditional Black political leadership and the mayor. As spokesperson, TWO looked to assert community control in stemming Woodlawn’s deterioration, which it perceived as an intentional strategy on the part of outside actors to entrench the ghetto as a place to charge high rents and sell overpriced goods. The largest of these actors was the University of Chicago, immediately adjacent to Woodlawn. 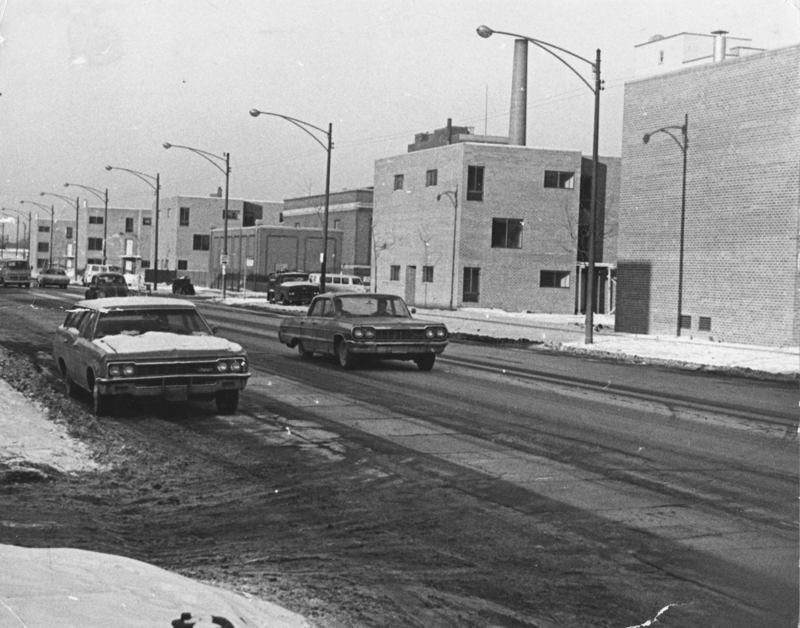 Under the leadership of administrator Julian Levi, the UofC had supported a program of urban renewal in Hyde Park that had displaced Black and poor households. Now, the school turned to Woodlawn. Congress ultimately passed a new law on Levi’s recommendation that created financial incentives for municipalities to assist universities in expanding their campuses through urban renewal. If the Chicago Land Clearance Commission helped clear the rest of the mile-wide swath, the City would receive over fourteen million dollars in federal urban renewal funds, which it could spend however it liked. While TWO wasn’t against the university’s expansion in principle, it opposed unilateral action. TWO protested at its “neighborhood store”—City Hall—and, in March of 1962, the city published an attempt at a compromise that called for new housing along Cottage Grove between 60th and 63rd Streets for those who would be displaced by the demolition of the mile-wide swath along 61st Street. But TWO had still not been included. The coordinating consultant of the city’s plan had said, “A community does not exist in Woodlawn,” and a UofC sociology professor on the project commented, “This is a community that reads nothing.” TWO shot back: “We don’t want to be planned for like children,” and, “We’re tired of being pawns in sociological experiments.” (An interesting comment, considering Alinsky’s previous work as a sociology student at the UofC.) In response, TWO and the Woodlawn Businessman’s Association drafted their own proposal, recommending that a portion of the fourteen million dollars that the city would receive from the demolition be used for community-planned renewal. When they met, they agreed that the demolition of the mile-wide swath, which would make way for university buildings, would not proceed until a TWO-controlled development corporation built moderate-income replacement housing along the stretch of Cottage Grove between 60th and 63rd Street that would also be cleared by the City. TWO would name its housing project Woodlawn Gardens. Two months before McNeil explained the difficulties of being a landlord—three years after Woodlawn Gardens opened—TWO had been unable to make the property’s mortgage payments. It’s unclear what exactly happened, but a look at similar project across the country may provide a hint. At the time, many developers, motivated by their mission to provide housing for poorer residents, leased units to households that had trouble paying the federally determined rents—a trend that surfaced during the 1970s as community organizations-turned-developers tried to square their local obligations with the requirements of complex federal subsidy programs. This, along with lack of federal rental assistance for the lowest income residents, and inflation, led to evictions, vacancies, and cash-flow problems. By the mid-1980s, Woodlawn Gardens had slipped fifteen million dollars into debt and declared bankruptcy. The federal government charged the organization with “gross mismanagement” of Woodlawn Gardens. The Department of Housing and Urban Development (HUD) ordered an audit, which found that TWO, under Leon Finney, had diverted $818,000 from the complex to other TWO entities. Meanwhile, tenants recall that “family oriented,” working households left when their rents eventually went up. In the words of long-time tenant Mollie Davis, the housing complex became “terrible,” with gang activity and fighting. 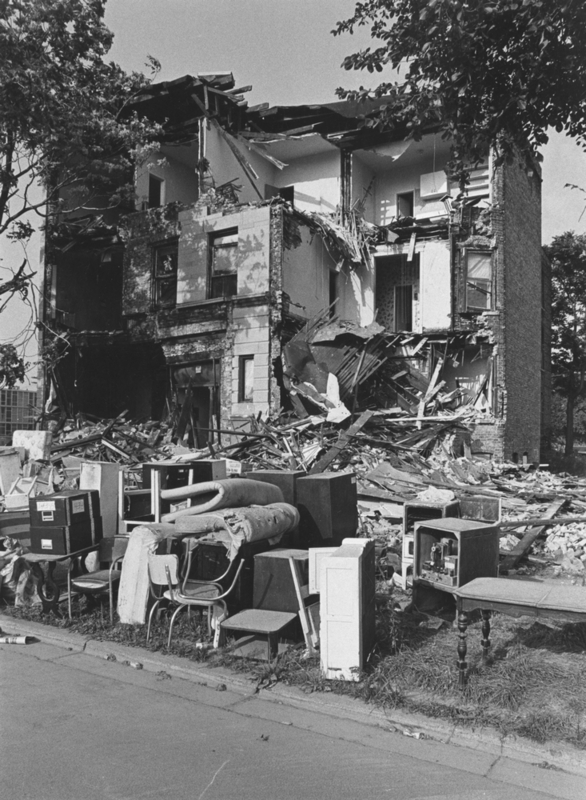 When HUD ultimately seized Woodlawn Gardens in 1986, TWO, the University of Chicago, and other institutions convened community leaders to renovate the property. What resulted was the Woodlawn Preservation and Investment Corp (WPIC), whose leadership included TWO veterans like Arthur Brazier, head of the now-large-and-growing Apostolic Church of God, and Leon Finney, as well as UofC administrators and staff. In the 1960s, the mistrust of outside control that defined TWO’s ethos led to a brokered compromise with the UofC, and the deal that let it build and control Woodlawn Gardens under Brazier’s leadership. Twenty years later, that same principle informed the strategy to convene the same players to renovate the complex, despite their having presided over its bankruptcy. “We want to be in control,” Brazier, then chairman of WPIC’s board, said in 1987, “to be assured that it will not remain in a deteriorated state.” Woodlawn Gardens was renamed Grove Parc Plaza. Almost twenty years later in 2006, Grove Parc had further deteriorated and failed inspections. Once again, HUD moved to take over the property. On a gray November day in 2007, Grove Parc tenants gathered outside HUD headquarters in the Loop. “They’re pushing us out of Woodlawn, they’re pushing us out of our homes,” said Lonnie Richardson, a Grove Parc tenant leader. He was referring to WPIC’s mismanagement and HUD’s proposal to demolish Grove Parc and give tenants rental vouchers. Under the plan that the city was then proposing as part of its failed Olympic bid, nearby Washington Park would hold a number of facilities; residents suspected that years of deterioration, followed by HUD’s sudden interest in living conditions at Grove Parc, had more to do with relocating residents and clearing land than addressing tenants’ needs. The Grove Parc Tenants’ Association, which formed as a requirement of the HUD takeover to help determine the property’s fate, began looking for a developer to save their complex from demolition. “No one wanted to touch it,” Davis recalled. There were 150 empty “ghost apartments” and gangs. “You name, it we had it going on up in here,” she said. While most developers shied away, one had done some research, and sensed an opportunity. From its offices in Boston, POAH saw that Grove Parc was adjacent to the Green Line, Washington Park, Jackson Park, the lakefront, and the University of Chicago. Bill Eager, POAH’s Chicago area vice president, said that “it took an outsider to see that potential.” For a developer, he explained, the massive 504-unit complex was a financial asset. It was “easy to to envision something else down the road. If we could get the ball rolling in a different direction,” struggling Woodlawn could become a vibrant, mixed-income community. In 2011, POAH applied for and received 30.5 million dollars in federal Choice Neighborhoods funding to redevelop Grove Parc. The funds required POAH to reduce the concentration of low-income units in the new development that it would call Woodlawn Park. This would require resettling hundreds of residents in buildings that POAH was buying elsewhere in Woodlawn and other neighborhoods. In order to control the outcome, the Tenants’ Association and POAH drafted a legally binding agreement specifying how many units POAH would preserve along Cottage Grove, how many units it would create in Woodlawn and other neighborhoods at varying distances from the original development, and how tenants would be rehoused. When POAH started to buy buildings throughout Woodlawn in which to resettle Grove Parc tenants, adjacent homeowners protested. They said that it would contribute to traffic. Felicia Dawson, however, knew what was really going on. Dawson grew up in Chicago, and her father was a Black Panther. (“He used to be a runner for Fred Hampton,” she recalls.) Dawson ended up working as an organizer alongside residents in a Kansas City neighborhood where the city planned to build a prison for people serving life sentences. It was there that she learned to build consensus in hostile environments. She started working for POAH in 2011, when the resettlement process began. Dawson says that the residents’ objections were, in reality, class-based. Some of the vacant buildings that POAH purchased along 62nd Street had been troubled affordable housing, and neighbors suspected that POAH and its tenants would recreate it. Anti-POAH signs went up in windows. “The residents in the property [Grove Parc] felt that they were being attacked, which they were,” Dawson recalls. During the public comment period at a community meeting, Dawson remembers a Grove Parc resident crying at the microphone, trying to validate their presence in their community. “Nobody should have to prove their right to be in a neighborhood,” Dawson said. Late last December, several Grove Parc tenants gathered in a community room in the POAH seniors’ building. Mollie Davis, who is now President of the Tenants’ Association, sat at the head of a long table with her walker and a small bag of candies at her side. The agreement says that while POAH can ultimately make its own decisions, it must consider tenant input before doing so. Davis says that POAH’s ultimate power makes it all the more important that tenants remain involved in the Association and voice their desires. But in the last year, the Association’s long-term president, Teresa Walton, whom tenants described as “not afraid of anything,” passed away, and Davis says that attendance at Association meetings dropped. At the head of the table in the community room, Davis explained that even as she tries her best, she sometimes feels that she is not as vigorous as Walton had been. Over the course of the conversation, a number of residents in the lobby had seen Davis through a window in the door, entered the room, and respectfully taken seats around her. When the small, impromptu audience voiced encouragement, Davis bit her lip and blinked rapidly. Davis says that she recently asked POAH leadership for a meeting to raise a number of issues. First, she needed POAH to allocate a space for a Tenants’ Association town hall at which she planned to implore tenants to step up, participate, and strengthen the Association’s hand. “It’s the community that builds the community,” she said sternly from the head of the table. The tenants also have other concerns. “Heat,” Davis began, speaking about the buildings along Cottage Grove, “for four years.” She continued, slowly: “Mice. Bugs. Flooding. Me, wading through water.” Over time, however, she feels that POAH addressed these concerns. City inspection records show no heating issues, infestations, nor flooding in any of POAH’s buildings along Cottage Grove. In July of 2018, however, the Department of Buildings found in its inspections that “most apartments” in POAH’s older buildings at 6156-58 S. Vernon and 6153-59 S. Eberhart had mice and roach infestations. Davis had not heard about the infestations at these buildings. Eager wrote in an email that these issues can occur in large buildings, that they were “dealt with effectively and as quickly as possible,” and that POAH “takes great pride” in its building management, which it considers foundational to its success. In his downtown office, situated relative to main entrance so that he might greet a visitor before anyone else, Eager explained that he has never turned down the Association’s requests for meetings or town halls. “People have our business cards. They call us regularly,” he said. “We bend over backwards to maintain a good relationship with them….it’s a priority for me and Felicia.” As for decreased tenant participation, he says he sees little evidence of it. He recalls that his last meeting with the Association this past December was crowded and lively. One reason to keep POAH on its toes is to keep tabs on changes in the neighborhood as Woodlawn attracts ever more outside attention. That the Green Line station immediately adjacent to Woodlawn Park, after years of neglect, is being rehabbed alongside POAH’s plans to build a commercial building there leads some tenants to believe that positive changes in the neighborhood are part of a larger transformation that might not be for them. While some residents think that an increased UofC presence will marginalize them and change the character of their community without their input, others see the school as an important partner. Mattie Butler, the head of Woodlawn East Community and Neighbors, has lived in Woodlawn long enough to be skeptical of even the rosiest proposals. Even so, she now thinks highly of at least one UofC project. Butler’s organization, the UofC, and POAH are jointly developing a housing database that allows close monitoring of development, prices, and displacement. “When we stopped fighting with each other, they turned out to be great,” Butler said. It is hard to say what kind of influence the UofC—through its many offices, programs, and the sheer number of its staff and students that live or work in Woodlawn—will have on the neighborhood. It is impossible to say just how the sum total of POAH’s investment and the development it is attracting will change Woodlawn in the long term. Whatever challenges these investments bring, POAH’s Eager and other community-driven developers are confident that the resolution is a matter of balancing residents’ desire for new amenities, on one hand, and the risk of displacement, on the other. They point to over one hundred acres of vacant land in Woodlawn as evidence that the neighborhood has enough room for everyone. The reality, however, is more complex. Approximately sixty percent of Woodlawn’s vacant land is privately owned, meaning that owners can develop it however they please. While Bill Eager hopes that developers will build more affordable housing, many will likely opt to cash in on rising property values. The impact of market-rate development has been a point of contention since at least 1995, when WPIC worked with a developer named George Thrush to build townhomes in Woodlawn. In language that sounds familiar today, Thrush explained to the Tribune that there wouldn’t be displacement because “we’re building something here on vacant land.” He went a step further, however, saying that the homebuyers would be “good neighbors” and “responsible homeowners…people who call the police when they see something they don’t like.” With more 311 and 911 calls, gentrifying neighborhoods can benefit from attentive policing of serious crimes. But residents can also suffer from stringent enforcement of low-level offenses. The city owns nearly all the other vacant land in Woodlawn, for which it has instituted a number of programs to incentivize what it calls “affordable” development. The City Lots for Working Families program, for instance, provides vacant land to developers who are willing to sell completed homes to buyers earning up to 140 percent of the Area Median Income. The Network of Woodlawn, led by Arthur Brazier’s son, Pastor Byron Brazier, supports this program as a means of combating displacement. For a single person, 140 percent of Area Median Income, which is calculated for the metropolitan region, comes to $83,020 and for a two-person household, $94,780. The median income in Woodlawn, however, was $27,887 in 2016. While the meaning of affordability can vary widely, there are approximately 3,000 income-restricted rental units in Woodlawn (including those at Woodlawn Park) that are contract-bound to cater to low-income households. When a contract expires, however, rents can rise. The contracts on about a third of those income-restricted units across Woodlawn will end before 2023. When rents rise, displacement will follow. A Network of Woodlawn report contains a “Woodlawn Expulsion Index,” which resembles climate change graphs in both tone and form—as median rents increase, the curve indicating the number of displaced Woodlawn residents jumps from less than 500 to an “Exodus” of 2,769 people. The report says that the exodus will occur if Woodlawn rents, now approximately $1,200 for a two-bedroom, approach the citywide median of $1,771. Somewhere in the middle of that graph, with just a fifteen percent increase in median rent, 1,944 people would be forced to leave Woodlawn. Leon Walker, the developer building the Jewel on 61st Street, says that a revitalization strategy relies not only on using vacant land, but on tax and employment programs. There are a number of organizations envisioning these alternative solutions. The Obama Community Benefits Agreement (CBA) Coalition, which is concerned about the proposed Obama Presidential Center’s impact on displacement, supports a property tax freeze for existing units within a two-mile radius of the Center and a property tax freeze for residents who can verify ten years of residence within a five-mile radius. All of Woodlawn would lie within a two-mile radius of the Center’s proposed location. CBA Coalition activists have collected signatures to get an anti-displacement referendum on the February ballot in some precincts. At a recent meeting of residents sponsored by 1Woodlawn, part of Brazier’s Network of Woodlawn, participants voiced support for the CBA Coalition tax freeze. The Network of Woodlawn’s displacement report endorses existing tax abatement policies, but does not propose any new measures. After two hours of discussion, the community room in the seniors’ building had filled with curious passersby, some sitting on small seats attached to their walkers. Davis had passed her bag of candies around. I asked her if she agrees with Bill Eager that POAH’s relationship with the Tenants’ Association is a model for how a community group and a developer can work together. She does, because of how the tenants fought to get the developer to sign an agreement, perhaps the only one of its kind in the country. On that recent November morning in the meeting room, the artist Bernard Williams handed out black construction paper and pairs of scissors, telling us to cut out symbols that represent Woodlawn. “I got an F in art,” Dawson announced as she made her last cuts. While the memory of a Grove Parc tenant crying in front of an audience of disapproving neighbors will always stick in her mind, Dawson thinks that things have changed. “We got pushback,” she said, recounting the early days. But, she continued, “we’re all in the room now.” The UofC student, the POAH tenant, and the several older neighbors all nodded. “I am proud to say I’m a POAH resident,” a woman responded, before adding, “with its ups and downs.” There were some laughs. “Jewel has deep meaning for me,” she continued. She used to stay in one of the Grove Parc buildings on that corner with a family member who recently passed away. She never imagined that a grocery store would sit on the site of her former home. The neighbors silently admired the collection of black motifs on the wall, which described the meaning of Woodlawn’s past and the residents’ visions of the neighborhood’s future. The woman reflected on her kin. “I’m living her dream,” she said. Update, 2/7: This story has been updated to accurately reflect Leon Finney’s involvement with Woodlawn Gardens, and the change to the community agreement that allowed the University to build south of 61st Street. This story’s reporting process involved research using a variety of archives, books, and miscellaneous documents. Here, to check out at your leisure, is a more-or-less complete bibliography. Congressional Research Service Report Prepared for the Committee on Banking, Finance and Urban Affairs and the Subcommittee on Housing and Community Development House of Representatives. One Hundred Third Congress First Session. December, 1993. Housing Act of 1959, Hearings Before the Committee on Banking and Currency, United States Senate, Eighty-Sixth Congress, First Session on Various Bills to Amend the Federal Housing Laws. Statement of Julian H. Levi, Executive Director, South East Chicago Commission, Chicago, Ill, On Behalf of University of Chicago and South East Chicago Commission, January 22, 23, 26, 27, 28, 1959. Max Budovitch is a contributor to the Weekly. He last wrote about South Side art and the legacy of Margaret Burroughs.